Up front, I can tell you that I’m not a fan of Barrick Gold (NYSE:ABX). I’d have a hard time recommending ABX stock. And I see plenty of reason, beyond just lower gold prices, why the ABX stock price has dropped nearly 75% since late 2011. Indeed, as I wrote back in April, Barrick Gold has been a colossal failure. There’s just no way around that fact. The point of gold mining stocks like ABX is to get leverage to the price of gold. Over the last ten years, however, while the price of gold has risen nearly 50%, the ABX stock price has fallen nearly 50%. ABX stock remains below its April levels, but ABX has rallied nicely lately. And even as a skeptic, I can see some reason for optimism. The merger with Randgold Resources (NASDAQ:GOLD) makes some sense and has helped boost the ABX stock price recently. ABX’s Q3 earnings were decent, if not spectacular. Gold prices have strengthened, helped a bit by a weaker dollar. Trade wars and geopolitical uncertainty could help gold prices move higher from here. All that said, there’s a long way to go before ABX stock looks like a buy. The Randgold deal poses its fair share of risk. The same geopolitical turmoil that should in theory boost gold prices can negatively impact Barrick’s operations in practice. And there’s still no evidence that Barrick can better deliver on its promise in the future than it has in the past. I get why ABX stock has rallied , but I’m far from ready to jump on board just yet. Investors liked the stock-only deal between Barrick and Randgold; the ABX stock price rose more than 5% on the news. To be sure, the deal has some positive aspects for Barrick. Specifically, the addition of Randgold’s lower-cost mines will reduce Barrick’s overall cash costs. According to the company’s investor presentation, after the deal ABX will have the lowest cash cost among senior gold miners, including Newmont Mining (NYSE:NEM), Newcrest Mining (OTCMKTS:NCMGY), Agnico Eagle (NYSE:AEM), and Goldcorp (NYSE:GG). The deal also provides ABX with a new CEO. Barrick has been run by Executive Chairman John Thornton, but Randgold CEO Mark Bristol will lead the combined company. As Will Ashworth detailed, Bristol is well-regarded, and a company whose execution hasn’t been great under Thornton could improve under Bristol’s leadership. There’s some other good news as well. Thornton stepped up and bought $25 million worth of ABX stock. That’s a show of confidence, particularly given long-running concerns about the chairman’s compensation. Moreover, Barrick and China’s Shandong Gold are investing in one another.That’s an important deal, given Randgold’s exposure to potentially difficult markets in Africa, where the Chinese hold some sway. If investors believe the “new” Barrick can execute better and actually start effectively leveraging ABX stock to gold prices, the Randgold deal looks like a step in the right direction. That, along with a modest rally in gold, has driven the recent rally in ABX stock price. The big catch, though, is that the Randgold deal could just move Barrick from the frying pan into the fire. It’s not as if Randgold stock has been a torrid performer; it has gained a total of 2.2% over the past five years, albeit against a decline of 11% in the price of gold itself. Political problems in developing countries have been a big issue for the sector over the years. Barrick knows that all too well after spending some $8 billion on the now-closed Pascua Lama project in Chile. 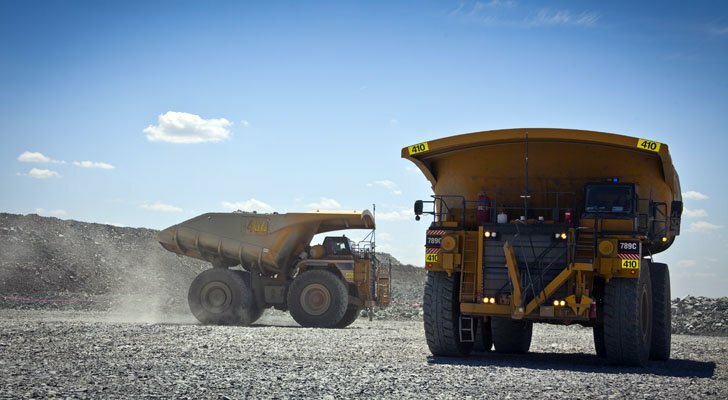 The state-owned miner in the Democratic Republic of Congo already has warned Barrick about taking over the Kibali project in that country. Miners in developing nations often find that the numbers look great on paper or in merger presentations, but that generating positive cash flow and profits is more difficult in reality. So while the Randgold deal makes some sense from a mining standpoint, it doesn’t on its own change the core problem for Barrick Gold. Specifically, ABX stock simply hasn’t delivered for investors. And, with a few exceptions, neither has the sector. Gold mining stocks are supposed to provide leverage to the gold price. That is, they are supposed to go up more than gold when gold prices rise, and go down more than gold when prices fall. Miners, particularly senior miners, haven’t followed that script. Political concerns – whether it’s outright nationalization, or labor strikes, or taxation – get in the way. High levels of executive compensation haven’t helped. The question at the moment is whether the Randgold deal – and Barrick’s other efforts – will solve that problem. Perhaps they will. But in this day and age, when investors can get leverage to gold prices via options and/or ETFs, the messy business of mining seems much less attractive. Until Barrick shows some evidence it can do what it’s supposed to do – and we’re not there yet or even close – it will be tough to get too excited about ABX stock, no matter what ABX stock price is.